Bitcoin mining is the method in which transactions on the Bitcoin blockchain are confirmed and processed. If there were no Bitcoin miners, the Bitcoin cryptocurrency would cease to function as no transactions would be confirmed. 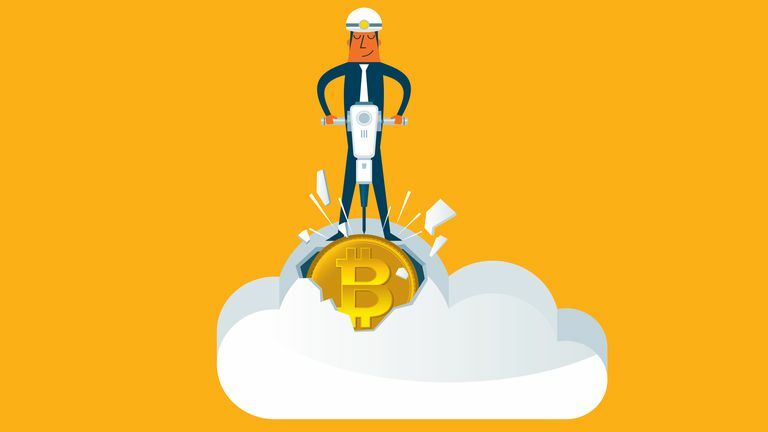 Those who perform the mining process are referred to as Bitcoin miners and they're rewarded for their assistance with a percentage of the transaction fee charged to the Bitcoin user. Mining Bitcoin can be an effective way to earn extra money and many individuals have now become full-time Bitcoin miners. Here are the three main ways to mine Bitcoin and start earning money. The easiest way to start mining Bitcoin is to simply download an app that does everything for you. Bitcoin Miner is a Windows 10 app that's free to download and use on Windows 10 PCs and tablets and also works on Windows Phones. Once the Bitcoin Miner app is downloaded, users simply need to enter their Bitcoin wallet's address in the Payout Address settings screen and then press the prominent Start button. That's all there is to it. The more powerful your device is, the more Bitcoin transactions it will be able to process. This means that a Windows Phone may not earn much Bitcoin but a Windows 10 computer that can perform heavy duty tasks like video editing and playing major video game titles does have the potential to earn quite a bit. A popular way to get in on the cryptocurrency mining craze is to pay someone else to do it for you. Referred to as cloud mining, this process involves signing up for an account on a third-party's website and paying them to mine Bitcoin and other cryptocurrencies for you. Typically, the more money you pay, the more cryptocurrency your account will be able to mine. Cloud mining contracts usually last for a minimum of a year or so though some can continue indefinitely. Mined cryptocurrency is sent to your designated wallet address on a regular basis which makes it a cool way to earn residual income on a weekly (or sometimes daily) basis. The cryptocurrency that's mined almost always covers the cost of the initial payment. Businesses like Genesis Mining offers Bitcoin mining contracts in addition to Litecoin, Ethereum, Monero, and a range of other cryptocurrencies. Be sure to do your own research to find a company whose practices you prefer. Those looking to really invest in cryptocurrency mining will need to buy an application-specific integrated circuits (ASIC) hardware device, often referred to as a mining rig. These are essentially processors that are made solely for mining Bitcoin and other cryptocoins and are intended to run non-stop all day, every day. ASIC miners are generally quite expensive and sell for several thousand dollars. Running such a device also consumes a lot of electricity so it can take a while, often over a year of continuous mining, to begin earning a profit. The most-popular brand of ASIC miners is Bitmain with their Antminer miners. They often release newer models of their miners that are more efficient at mining Bitcoin and consuming energy and provide consumers with comprehensive support and written set-up guides aimed at both advanced miners and complete beginners. When using an ASIC mining device, you'll also need to download advanced mining software and join a mining pool. The software will tell the ASIC what to mine, where to mine, and who to send the mined Bitcoin to while the mining pool is a group of other miners that choose to help each other mine together and share the rewards between them. The most commonly recommended mining pool and program is Slush Pool and CGminer respectively however those using a Bitmain miner may prefer to use their own program and mining pool due to their convenience and user-friendly interface. In addition to earning extra money, mining a cryptocurrency can also be a way to support your preferred coin. Miners are needed to process all transactions on a crypto coin's blockchain so the more miners there are, the faster and more stable the coin will be. Mining Bitcoin and other cryptocurrencies consumes a lot of money, time, and resources. For most people it can be almost as rewarding to simply purchase some Bitcoin from a service like Coinbase or CoinJar and let it increase in value while sitting in a wallet doing nothing.